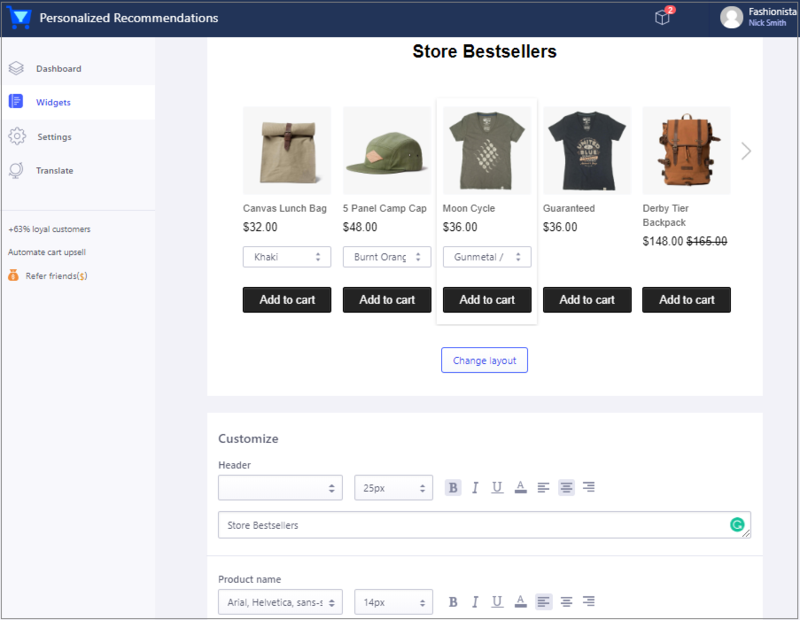 Product recommendations across your online stores serve as excellent opportunities to up-sell and cross-sell, as well as to boost conversion rate, average cart values, and customer loyalty. Automating these recommendations can also save you hours of work, that’s why Personalized Recommendations app was born to help. The app uses different e-commerce personalization options, big data and machine learning to deliver recommendations that are most relevant to customers. Let’s take a deeper look at how these recommendations actually work and how you can control and optimize everything. It can be often confusing to understand the differences in how each personalization options will deliver recommendations. Following is a list of the available options from Personalized Recommendations, to give you an overview of how the app analyzes your store and recommends products to customers. Store best sellers: Best-selling items from store, sourcing from your store’s sales history. Bought this also bought: This strategy uses crowd-sourced intelligence to monitor how most visitors interact with a product, and then recommends relevant products based on what the overall group responds to best. 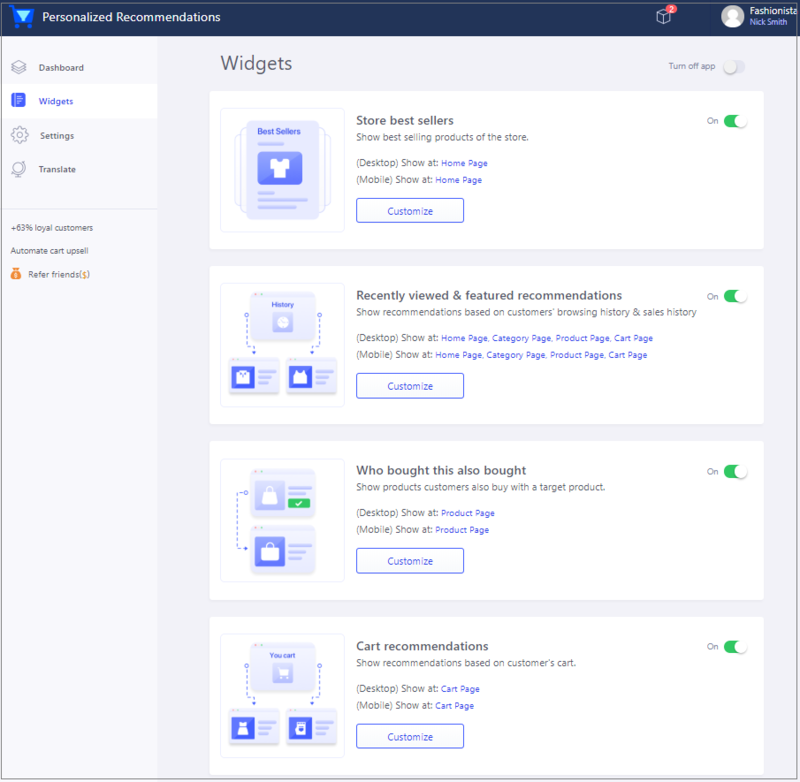 Cart recommendations: Beeketing system will collect data about your customers based on their behaviors, on what they’ve browsed or added to cart, and use that information to create personalized recommendations to show in cart page. Recently viewed and featured recommendations: This widget shows products customers have just viewed and recommends products based on those items. The way it recommends products is to segment people into groups or user types, and make assumptions about them and what they’re looking for based on common characteristics like demographics, attitude, location, or behavioral set; then chooses targeted items to each group. Handpicked products just for you: Show recommendations with products you picked by yourselves. Although Personalized Recommendations app run automatically right after you install, you can still customize and optimize how it works to bring you the best results. It’s hard to know what works best until you test. Therefore, it is suggested that you a/b test everything to see what type of widget delivers the most potential results. The first thing to do when planning an A/B test is to figure out what you want to test. Depending on your purposes, choose where to show the widgets you want. 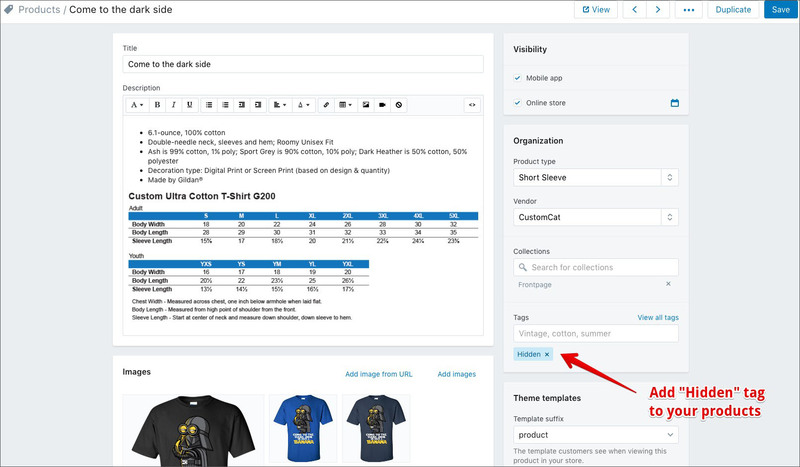 For example, you can test whether to show “Best sellers” on home page or on product page results in more sales. Simply choose the page you want to show, then note down the date. We recommend you check the results 1 week later, then switch to test other pages. With those powerful tools, you can match recommendation blocks with your theme design in the blink of an eye. If you need any help, feel free to contact us and we’re always here to help you out. Nothing lasts for years still catches your attention like the first time, doesn’t it? That’s why we suggest that you change the messages in your widgets frequently to bring some fun to customers’ shopping time and make them pay more attention to your products. Under “Translate” tab is where you can play with your creativity. You can translate those phrases to whatever you like, however, please take note of each widget’s function and try not to mislead visitors. 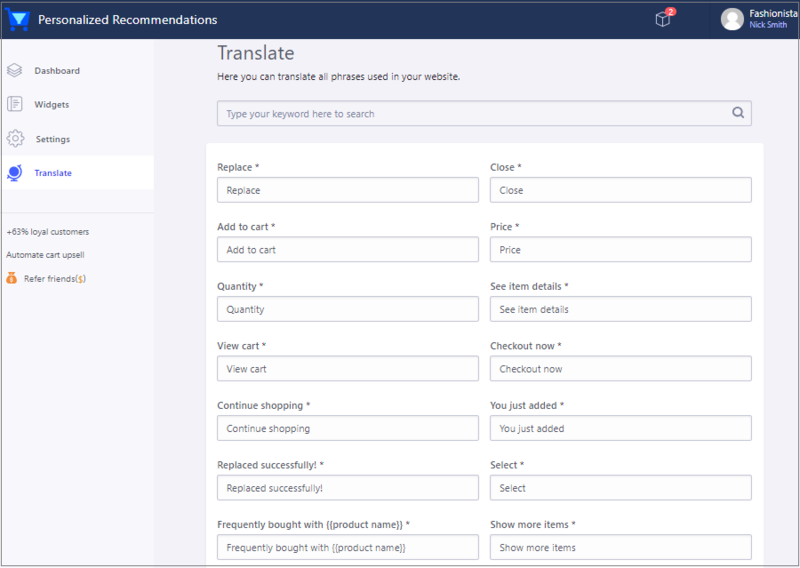 For example, it is not suggested to translate “Best sellers of the store” to “Recently viewed and recommended items”. There might be some items you don’t want customers to see in recommendation results at all, for example: a free-gift product. You can easily hide it from your store frontend with default settings of any e-commerce platform. However, do you know how to hide it from recommendation widgets? It’s easy. You can add tag “Hidden” to those items and they will be hidden completely from your recommendation widgets (keep in mind that it might take a few hours to update data from your tags). There’s a reason that 80% of Amazon’s homepage fills up with product recommendations. It simply works and makes more money for all e-commerce stores. So join the game and learn how to win it to conquer success with us! Feel free to get in touch with us if you want more suggestions, our experts are always here to help. How do you change the currency please my Shopify account is in euros however the widget shows prices in dollars. im having the same problem. Did you ever fix this? so am i, how do you fix this? If you have any issue with Beeketing applications, please contact us via hi@beeketing.com. We will solve your problems as soon as possible! Is the tag to hide products still “Hidden” or is it “beeketing-hidden”?